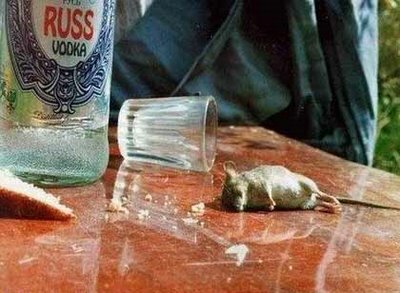 Did you saw a drunk mouse ? When I was little I remember at a party we've put salami into alcohol, and all those salami slices we given to a dog, and finally he were drunk.Now you can see a mouse who love vodka.Now he is sleeping, please don't disturb. To many FireFox Extensions ?